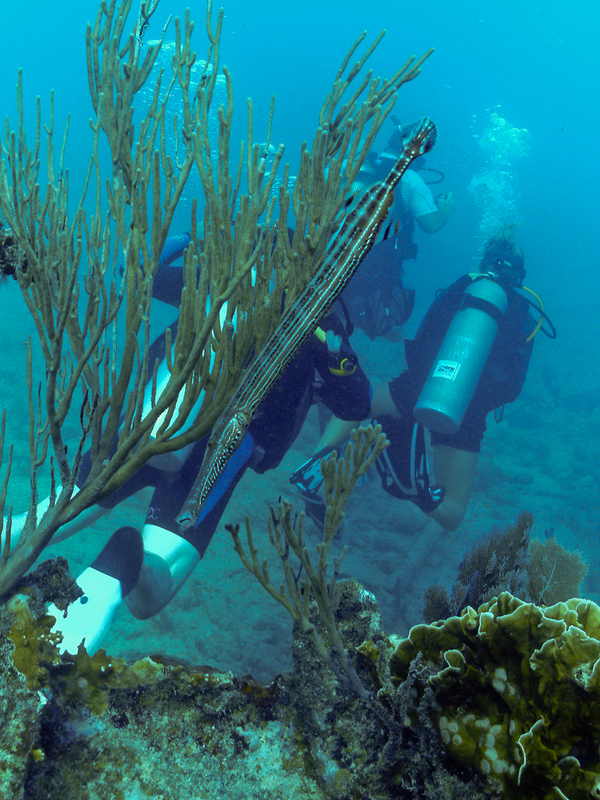 I enjoyed another great dive vacation trip to Key Largo, Florida earlier in the month. The trip was special since it was Eileen’s first time in Key Largo and her first time diving in the Florida Keys Marine Sanctuary. Once again Rainbow Reef provided us with a fantastic dive experience. The first dive on Sunday was the wreck of the Benwood. The Benwood is a nice relaxing dive and a great place for underwater photography. You can see many species of fish and some large schools of fish swimming around the wreck. The dive at Molasses Reef on Monday was exceptional due to sightings of a sea turtle and Black Tip Reef Shark. 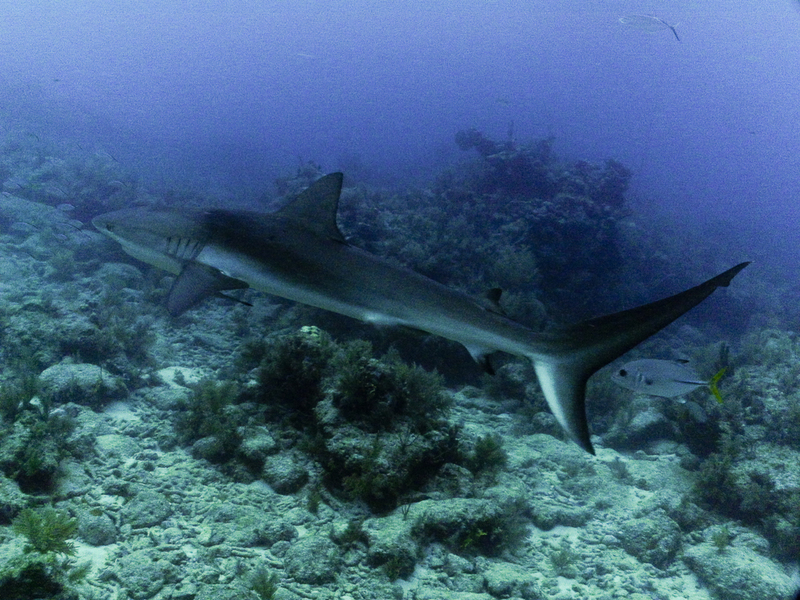 We first spotted the Black Tip Reef shark at the north end of Molasses Reef near the Wellwood Restoration site. We later saw the same shark on our second dive at the south end of Molasses Reef near Fire Coral Cave where I was able to get some fantastic video footage. 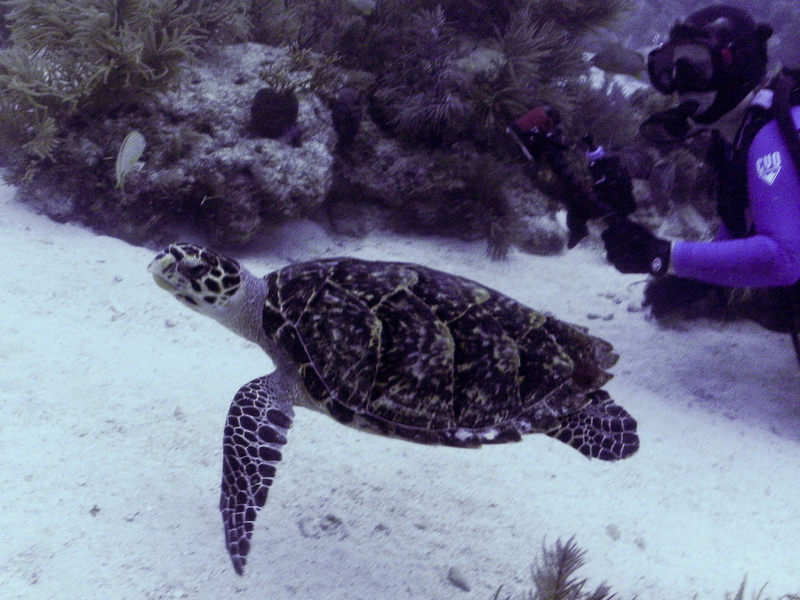 While at Fire Coral Cave on Molasses Reef we had the good luck to see a sea turtle and swim with it for a while. On July 10th Eileen took a refresher course then joined me on the boat for the afternoon dive. We headed north to the Elbow Reef and the City of Washington shipwreck. 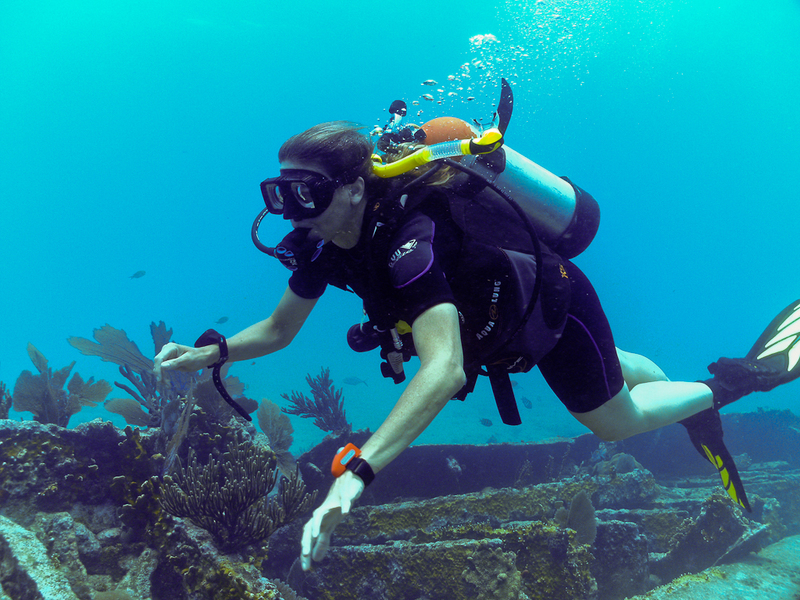 This was Eileen’s first dive in the warm clear water of the Florida Keys. Most days you can expect to see some Goliath Grouper and Nurse Sharks hanging out under the mooring balls near the wreck. I get the feeling they are waiting for divers to visit. I was able to get some great video footage of the Goliath Grouper. 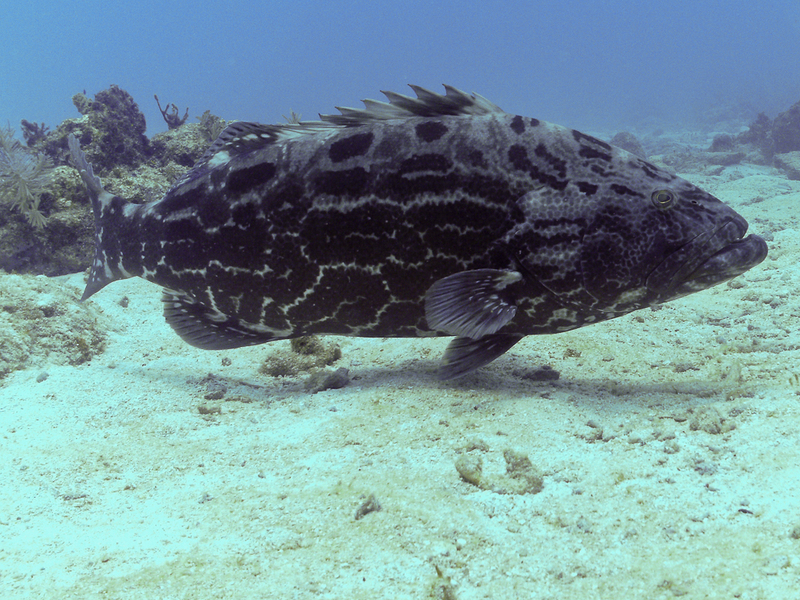 Eileen spotted the large Black Grouper in the photo above. It did not seem to mind me drifting close for a photograph. 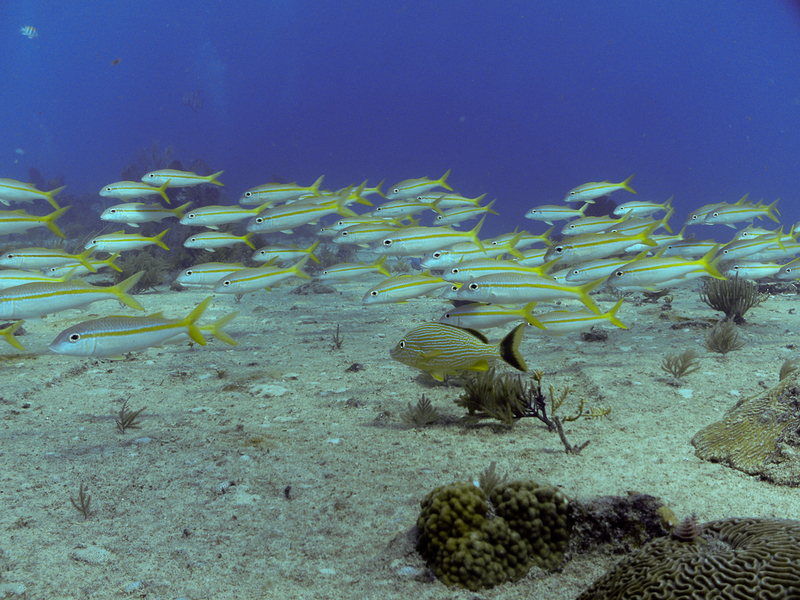 Wednesday July 11th was one of he best diving days due to some fantastic sightings on Molasses Reef. The first one was a sea turtle while diving at Permit Ledge. Next we spotted a small Black Tip Reef shark. It appeared to be about 4 or 5 feet long. Eileen then noticed a Spotted Eagle Ray and got my attention in time for a short video clip. At the next dive site someone yelled, “There is a big stingray right underneath the boat.” This was good news since I had promised Eileen we would get to see a stingray while diving in the Keys. Towards the end of the dive Eileen and I had the good luck to swim alongside the stingray for a while. On Thursday Eileen dove on the Benwood for the first time. The sun had come out and visibility had improved so I was able to get both photographs and video. The video of the Benwood dive turned out pretty good as well. On Friday we went to Snapper Ledge for one of the best dives of the trip. The place got it’s name because of the large schools of snappers and grunts that live there. 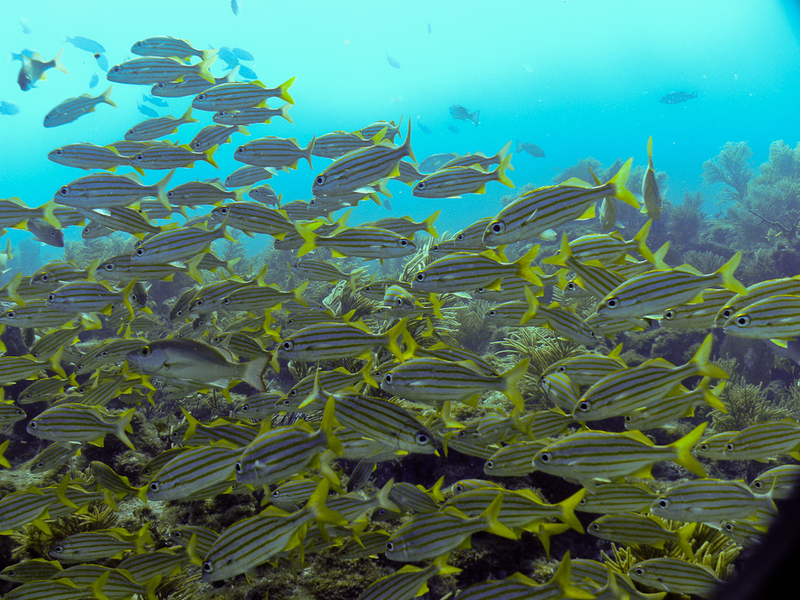 The schools of fish at Snapper Ledge are amazing! It’s pretty cool to swim through a school! (Not bad huh?) A photograph just can’t do justice to the experience. Because of that I shot lots of video during the dive. Overall it was a wonderful dive trip. We also had a fantastic time relaxing in Key Largo between dives. Read about that in next Blog article.